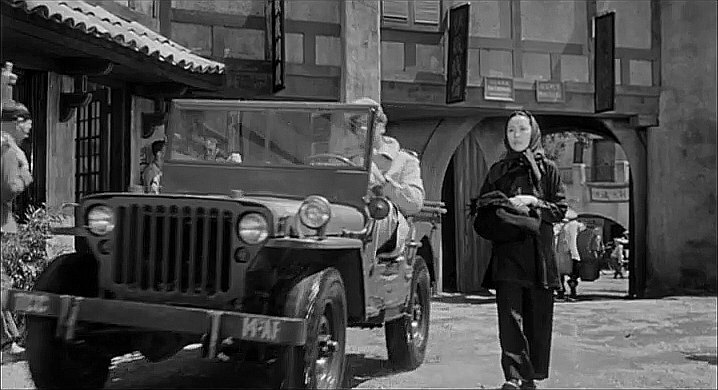 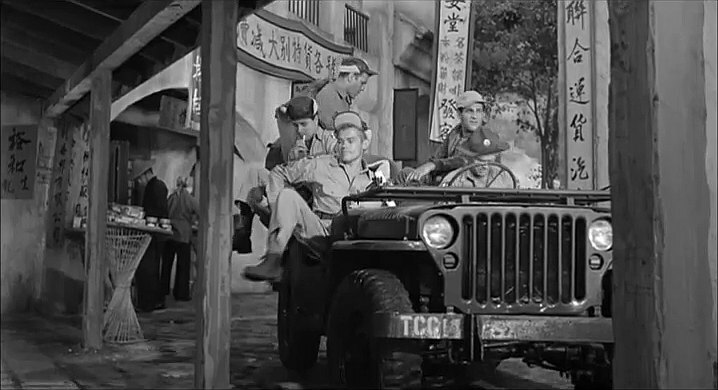 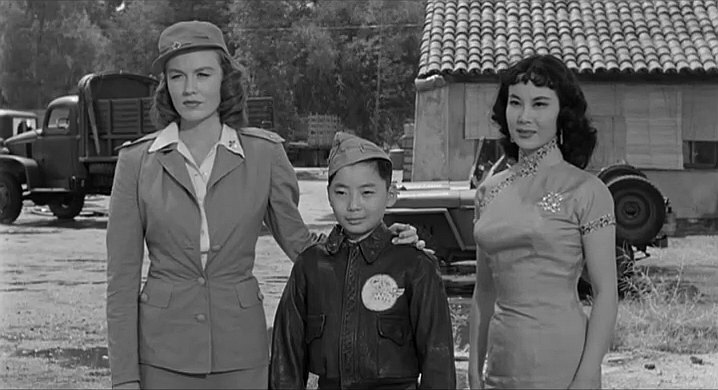 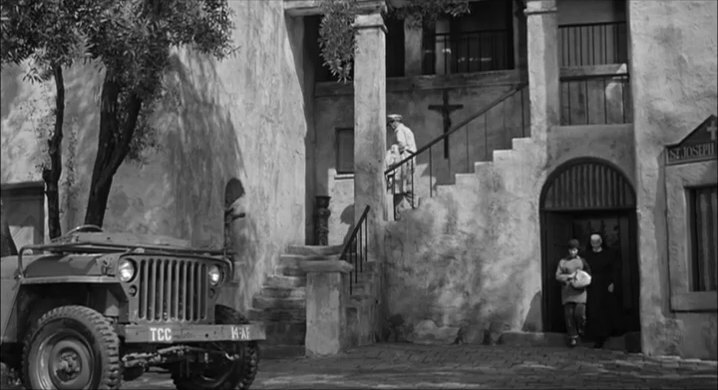 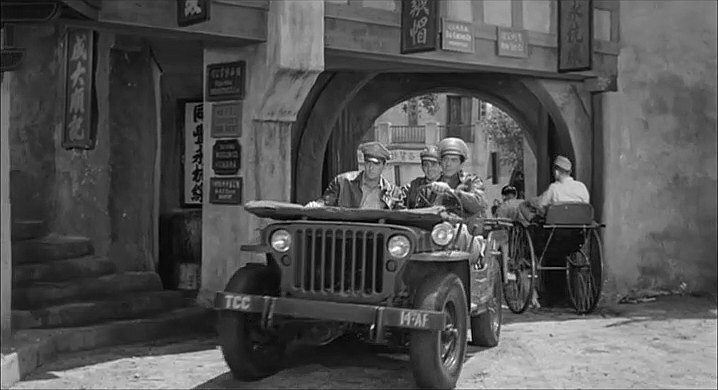 IMCDb.org: 1942 Willys MB 'Jeep' in "China Doll, 1958"
As far as I can judge, no GPW in the film. 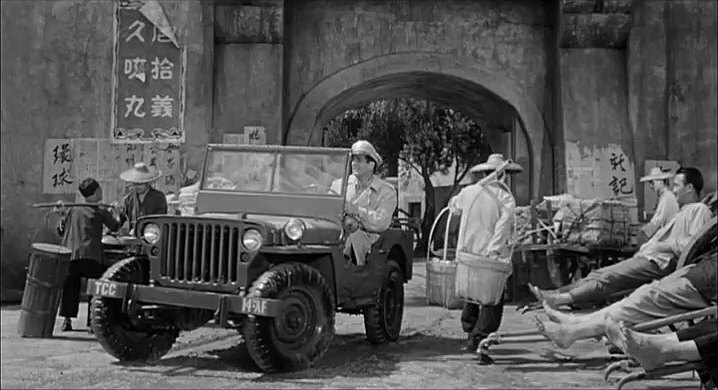 It looks like a MB, but the spare wheel, side-mounted. 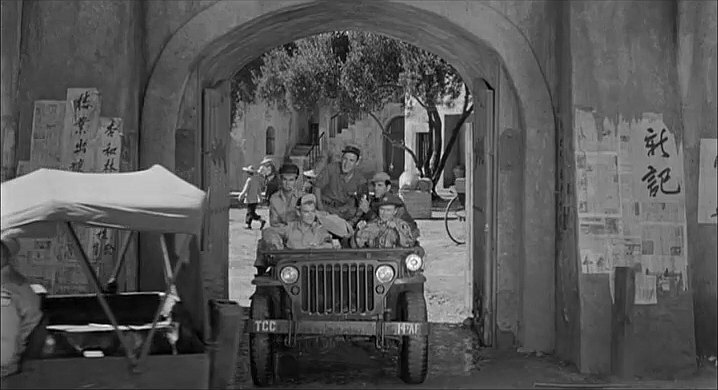 I would support MB unless better details indicate differently. 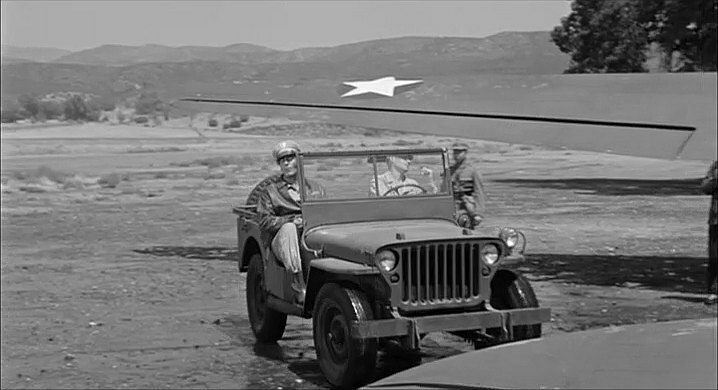 Field modifications often relocated the spare wheel to better suit the mission. 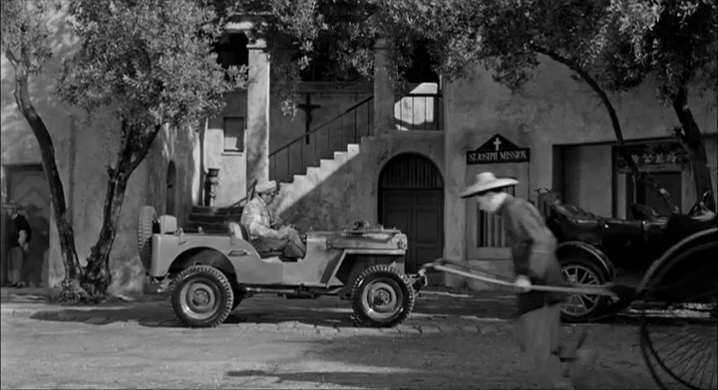 Cable laying jeeps often had the spare relocated. 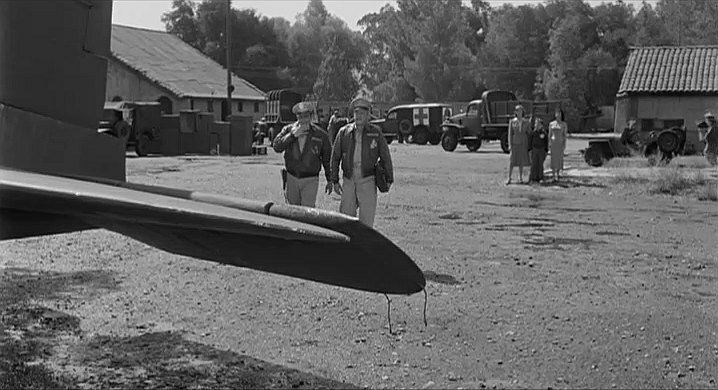 This one appears to have twin spares on either side?